4 Discs -- 80 Songs -- 3 sing-along books -- all in one set! It's just like being able to gather around the piano WITHOUT THE PIANO! The Christmas Caroling Songbook contains 80 favorite Christmas Carols and songs with Melody, Words and Chords, plus a four disc set of fun accompaniment tracks. Each song features "gather around the piano" sing-along accompaniment tracks with the melody cued by holiday bells and chimes, to help guide everyone along. This is the ultimate Holiday Party Sing-along book and disc set! 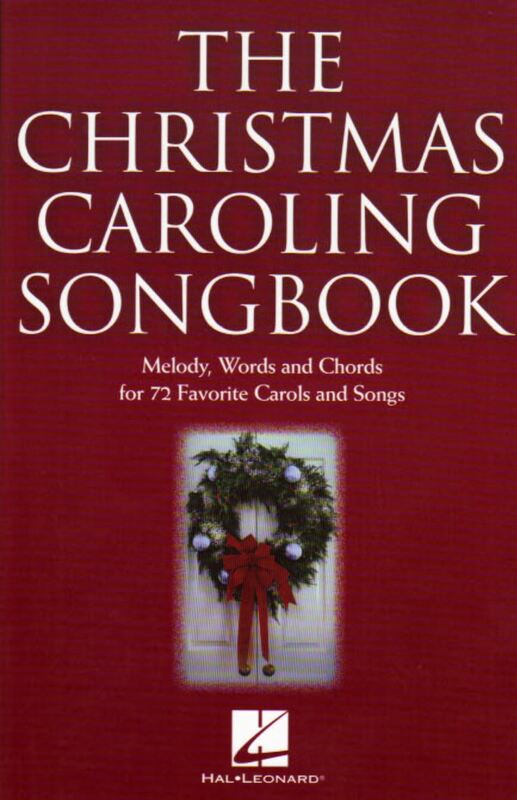 3 copies of 80 favorites housed in a festive red cover, with easy-to-read print pages measuring 5.75x9 inches for convenient handling while singing. And, if you're planning a large party, you may purchase extra books separately in one or five pack arrangements. This product is for use in all standard audio CD players. It is also available in all player-piano formats and in general midi files (complete with lead notation and lyrics). The Christmas Caroling Songbook is perfect accompaniment for your sing-along, or for any instrumentalists to play-along with. It is available in two different standard audio versions: Stereo Audio or "Split-Track" Audio. Stereo audio is sonically imaged for an optimum listening -- singing experience: the stereo piano comes out of both speakers (left and right channels) and the "melody helper" bells and chimes come from either side, thus creating depth for listening enjoyment. The Split-Track Audio features the piano only on the left channel (speaker) and the melody helper bells and chimes only on the right channel. This gives the user the capability of turning off the melody helper notes, and play or sing their melody instrument along with the piano-only accompaniment. 45. Let It Snow! Let It Snow! Let It Snow!